Presentation reveals a somewhat unusual tip to lose weight, while still enjoying all the foods you love. Overweight young people have fewer friends than their healthy weight counterparts, researchers claim. This is because they are more likely to be rejected as friends by slimmer people. The U.S. researchers say that time and again, overweight young people choose friends who are normal weight – yet they are often not selected in return. Researchers at Arizona State University analysed social networks to study how people choose their friends. ‘We found consistent evidence that overweight youth choose non-overweight friends more often than they were selected in return,’ Associate Professor David Schaefer said. The researchers also noted that overweight young people are mostly indifferent to the weight of their friends. 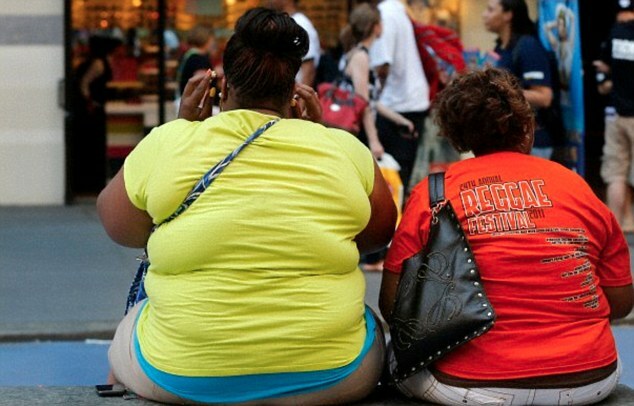 As a consequence, overweight people may turn to overweight peers for friendship. Young people are also more likely to socially marginalise those who are overweight. As a consequence, overweight young people have one fewer friend, on average, than normal weight people. ‘This is especially troubling since friendships are important sources of support and companionship,’ Associate Professor Sandra Simpkins said. The researchers analysed data from the National Longitudinal Study of Adolescent Health that surveyed 58,987 students in 88 middle and high schools. Approximately 20 per cent of students surveyed provided body mass index data. Students who participated in the study identified their 10 closest friends, five of whom were female and five who were male. Researchers utilised social network analysis in the study in order to account for different types of friend selection processes, such as attraction based on similarities, meeting during extracurricular activities, or meeting through a mutual friend. This allowed the researchers to isolate the effect of weight status on friend selection. Associate Professor Simpkins added: ‘It’s important to keep in mind that overweight youth still have lots of friends. Having just one friend makes a big difference.